This newsletter Fiona Fitzsimons, Research Director at Eneclann answers Sheila Shanley’s question. Hello Fiona – trying to find information on my great-grandfather, Christopher Leonard, born Meath 1863 – worked as a Wagon Fitter for Irish Railway, probably at Broadstone, Dublin – he is mentioned in 1911 Irish Census. Cannot get any trace in 1901 Census. I tried a couple of letters enclosing S.A.E to Irish Railway Association, plus e-mails, and didn’t get any reply. Would like to know more of him and his family – any advice greatly appreciated. Eneclann at…Who Do You Think You Are? Eneclann will be at stand 713 at this year’s Who Do You Think You Are? Live, the biggest family history show in the world. 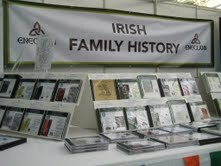 This year’s show is running from Friday 24th to Sunday 26th February 2012 in the Olympia, London. As usual, we will be offering special discounts and competitions at the show – further details will be announced in the next newsletter. If you are trying to find ancestors in Sligo in the late 19th century, but have hit a brick wall, you might be interested in two of our rarer publications. ‘The Sligo Chronicle’ Almanac and Directory for 1878 contains a complete business directory for Sligo for the year 1878 as well as fantastic background information to add some context to your family history. 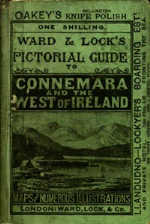 The Sligo Independent newspaper County directory, almanac and guide from 1889 is one of the only county directories for the west of Ireland. It includes a street and business directory for the borough of Sligo as well as information on each town in the county. which provides information on counties Galway, Mayo and Sligo for tourists interesting.